Actress-turned-CEO Gwyneth Paltrow knows a thing or two about skincare. 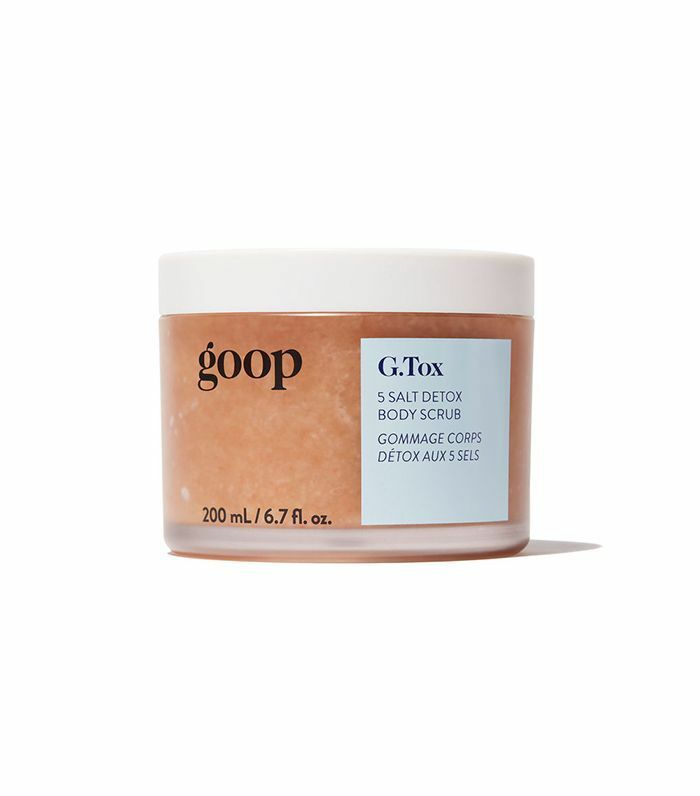 She's been at the helm of lifestyle brand Goop since 2008 and boasts some seriously healthy-looking skin herself. Her brand also produces its own high-performance skincare products, which Paltrow swears by. That's why when she revealed her nightly skincare routine as a part of the Harper's Bazaar video series Go to Bed With Me, we took note. It should come as no surprise that Paltrow's routine incorporates a host of Goop products, but it turns out she's also a fan of labels like Vintner's Daughter, Dr. Barbara Sturm, Love + Sage, and Beautycounter. She starts with a full body exfoliation using a dry brush, followed by a Himalayan salt scalp scrub shampoo and salt detox body scrub. 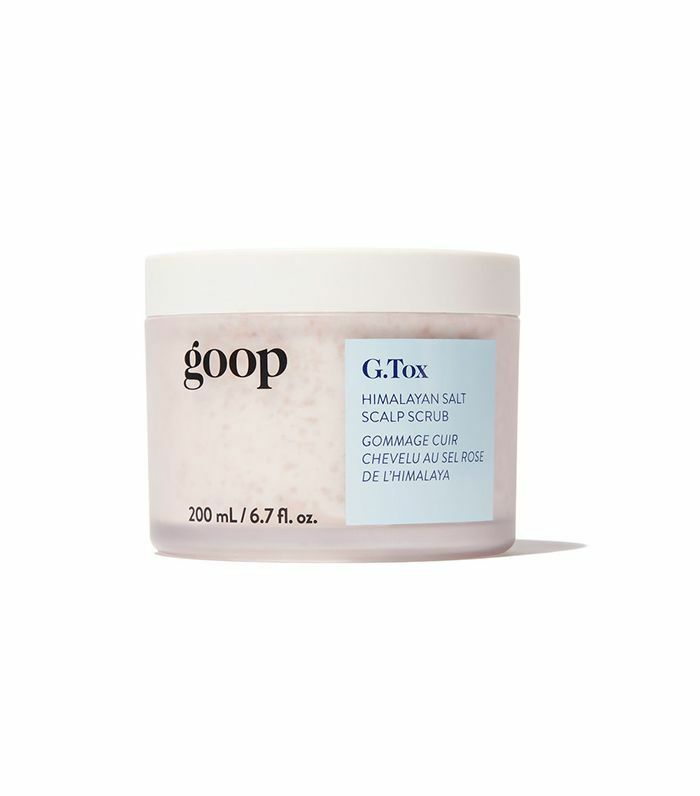 Next, she treats herself to a "professional facial in a jar" (Goop's own Exfoliating Instant Facial) before applying serum, eye cream, and lip balm. Paltrow also shares that she loves a good body oil or body butter before bed. Keep reading to find out exactly how the skincare aficionado gets ready for bed (and shop all of her go-to products). 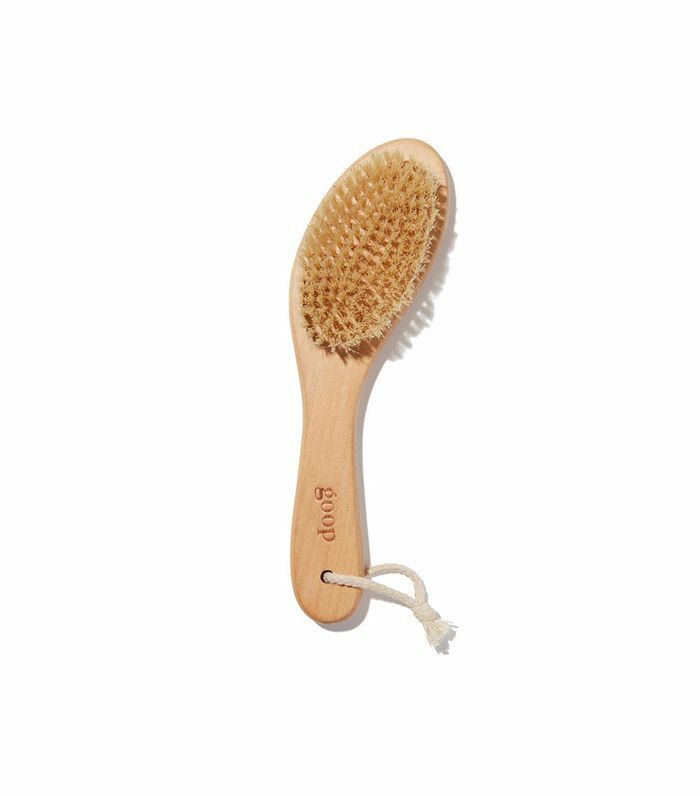 Paltrow likes a dry brushing routine before she showers in the evening. 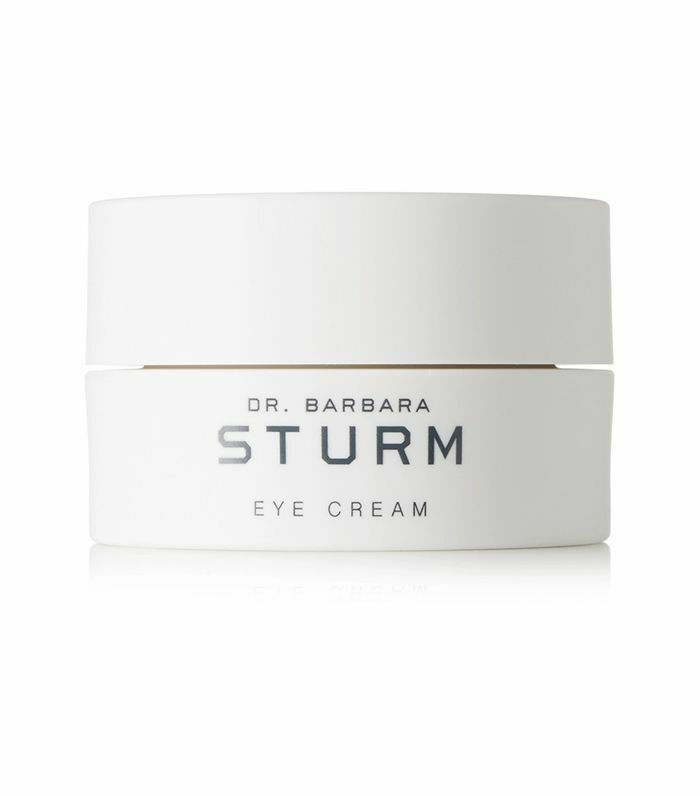 "It definitely does the job of exfoliation and improving circulation," she explains. In the shower, Paltrow uses a shampoo made with Himalayan salt crystals for a soothing scalp scrub. "It's an amazing shampoo," she boasts. She swears by this oil-and-salt scrub to hydrate the skin while giving it a beautiful glow. "It just leaves your skin feeling so smooth," she says. 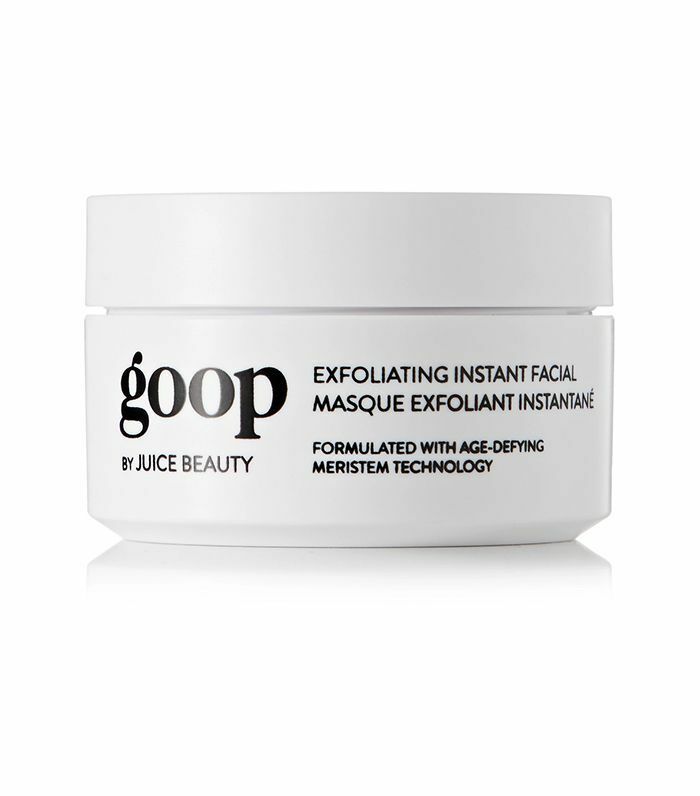 "This is, to me, is [sic] like a professional facial in a jar," Paltrow says of Goop's exfoliating instant facial. She loves it so much she uses it every single night, even though the jar recommends using just three times a week. 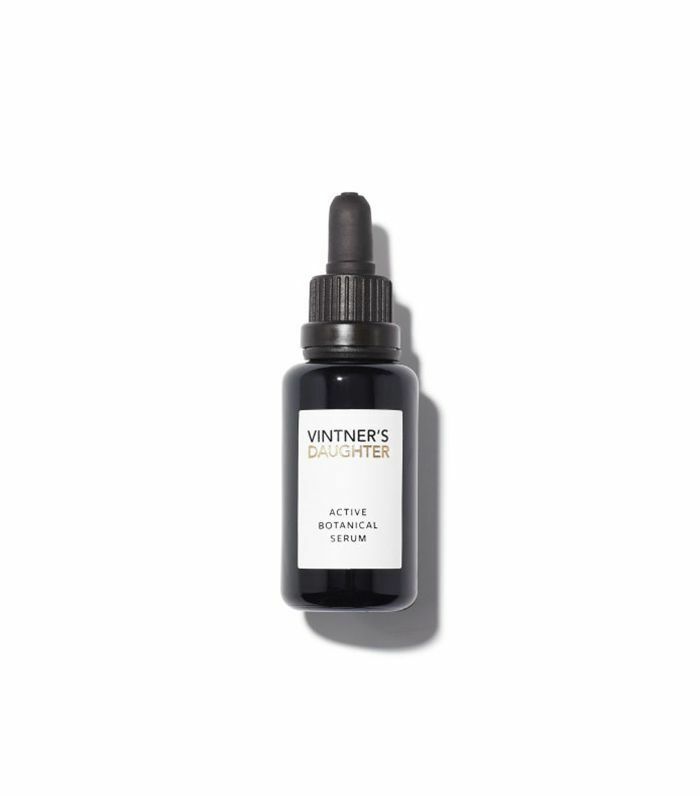 Paltrow likes to use Vintner's Daughter Active Botanical Serum because her skin fares on the dryer side. "It's not only an oil-based serum," she says. "April, the woman who makes it, says it's full of all sorts of fantastic things—it really heals skin." "In the summer I tend to use less night cream because we are on the East Coast and it has a nice humidity in the air," says Paltrow. "But if I'm in California, especially in the winter, I use a nice night cream," she explains. She also loves to use body oil or body butter at night. 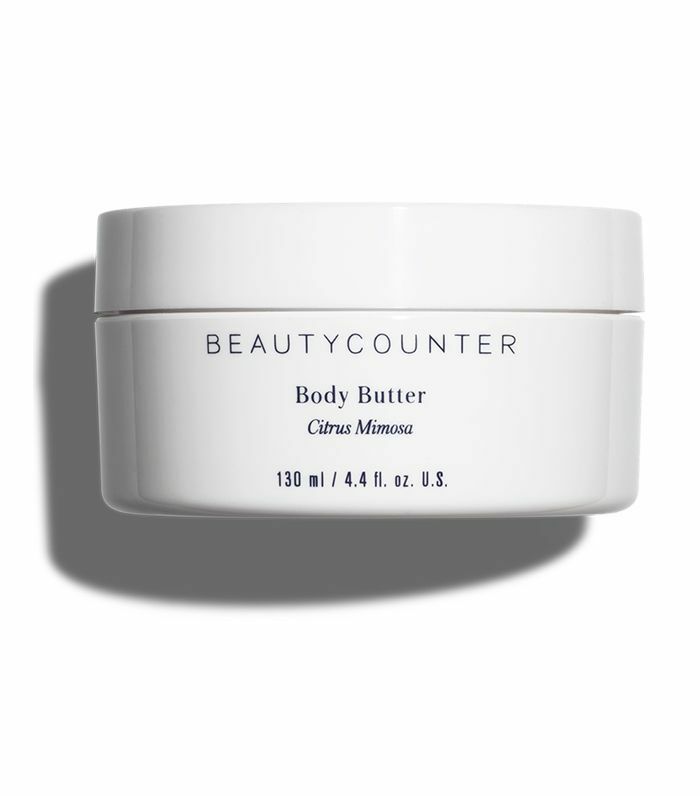 "I really like the one by Beautycounter," she says. To keep it simple, Paltrow ends her routine with a lip balm. 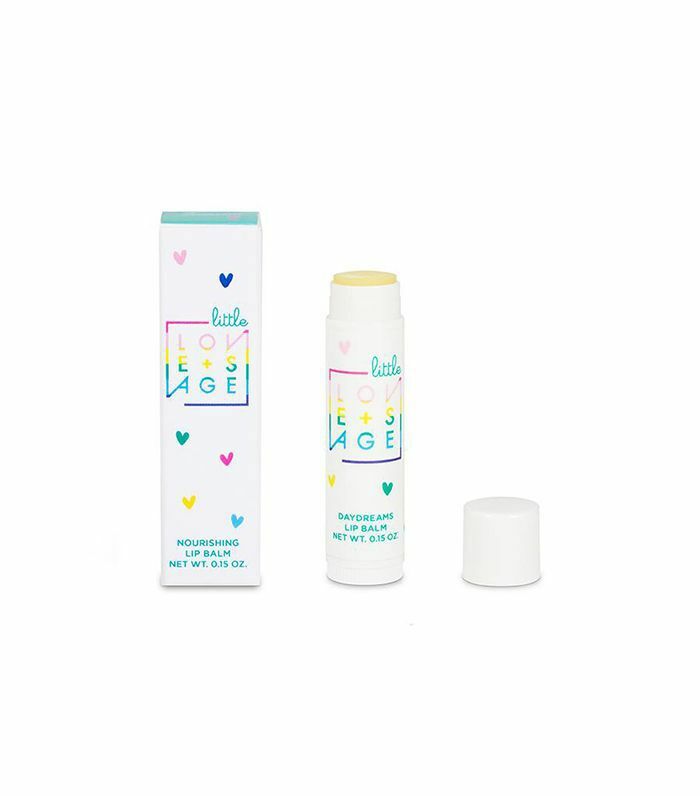 Her pick is from New York City brand Love + Sage. Head to Harper's Bazaar to see exactly how Paltrow follows her nighttime skincare routine.